The North Drain flows westerly for a distance of approximately 6.5 miles from Hurn Sluice on the River Sheppey to the North Drain Pumping Station at the confluence with the River Brue. It passes through Westhay Moor, Aller Moor, Tadham Moor and Tealham Moor and is crossed by several Droves. The first attempt to drain the moors in this locality was in 1774 when an Act was obtained to drain Tadham Moor via the construction of a Rhyne to run parallel with the River Brue, this was later extended to include Westhay and Godney Moors. 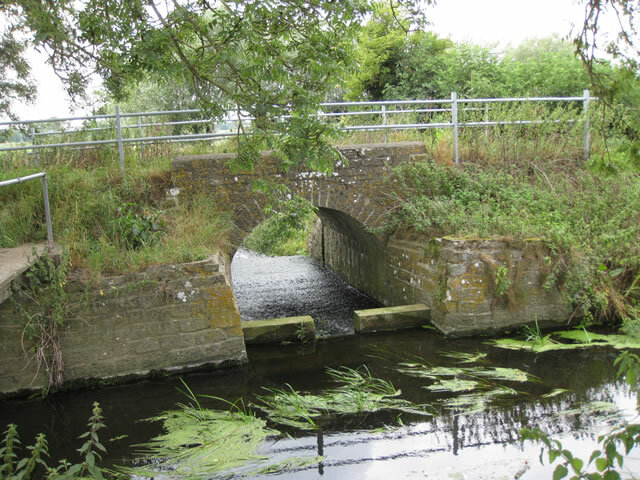 As a result of the 1801 Brue Drainage Act the Hurn Sluice was constructed and at the western end it was connected to the River Brue and called the North Drain. It was never totally effective with the moors still flooded when the River Brue was in spate. The waters in the Brue being too high to take the inflow from the drain, causing a flow back into the moors. It was not until 1959, with the construction of the North Drain Pumping Station, that the problems associated with the gravitational drainage were solved.